Small-sized video cameras with integrated transmitters only have a limited transmission range. Wherever larger distances to receiving points have to be covered, it is necessary to use a repeater-station. Our PKI 5790 is the right solution for such applications. It receives the standard video signal within the 1.2 GHz range and transfers this into the 2.4 GHz range. With its max. output power of 4 Watts and the 18 dbi directional Yagi-antenna, a max. distance of up to 20 km (depending on surrounding conditions) is possible. PKI 5790 especially has been developed for disguised purposes, and its smallest dimensions are perfect for any mobile operation. Power supply of the PKI 5790 is provided by a separate 12 V rechargeable battery and/or mains adapter/charger. 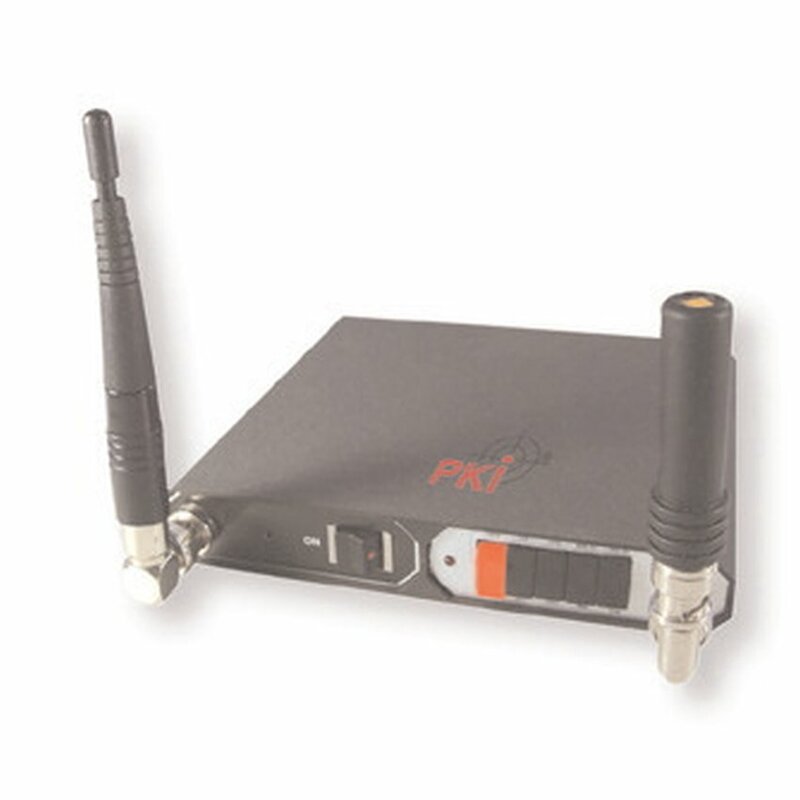 For the reception of the signals we recommend our PKI 5755 A/VReceiver/ Recorder.